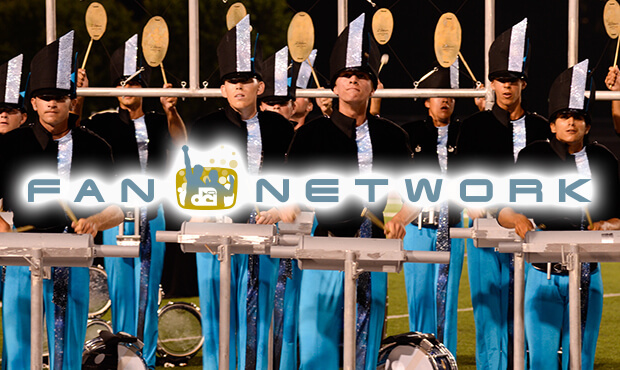 The DCI Fan Network will be webcasting live on Friday, June 27, from DCI Central Indiana in Muncie. Returning to Ball State University for its fourth year, this 2014 DCI Tour event will once again serve as the culmination of a week of activities for hundreds of high school music students at the Music For All Summer Symposium. The campers will close out the night with a very special joint performance with Carolina Crown. This is sure to be a night packed with enthusiastic performances from seven of DCI's World Class corps that you don't want to miss. The first corps is set to step off at Scheumann Stadium at 7 p.m. ET/4 p.m. PT. The lineup for the evening includes: 7:00 p.m. Pioneer 7:17 p.m. Colts 7:34 p.m. Troopers 7:51p.m. Blue Stars 8:08 p.m Intermission 8:25 p.m. The Cavaliers 8:42 p.m. Phantom Regiment 8:59 p.m. Carolina Crown Times approximate and subject to change. Two ways to view this webcast are available. A $19.95 pay-per-view option will give you one-time access to watch all of the performing corps in Muncie. Choose the $69 Live subscription option, or Live+DVD or Live+Blu to gain complete access to all of this summer's live webcasts, on-demand replays of select DCI Tour events, discounts on downloadable media, and more!